Looking for some Colombian flair to spice up your Sunday? Stop by Colombina Café to soak up that cozy sunday atmosphere and enjoy a fresh Arepa with a coffee. 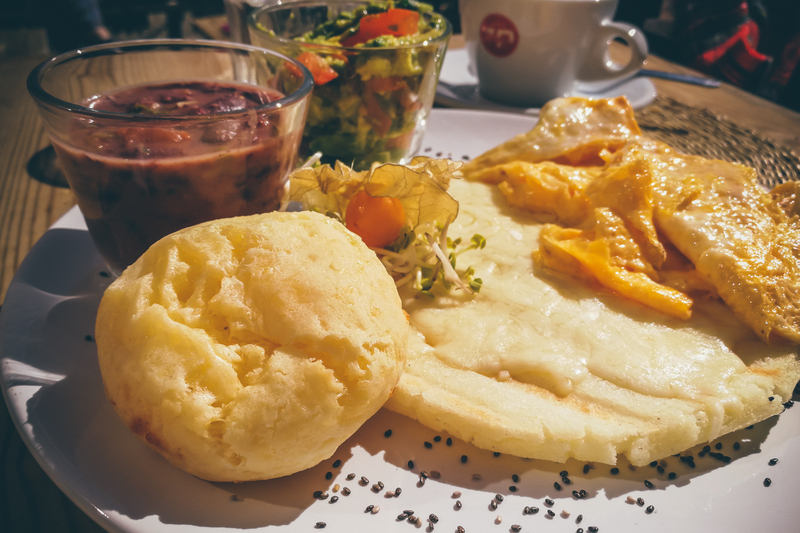 Arepas are tasty tortillas, that traditionally derive from Colombia and Venezuela. Low fat and gluten free, they are usually filled with avocado, cheese, meat and beans. If you’re not a fan of their filling, they also offer a variety of tasty bagels and sandwiches. 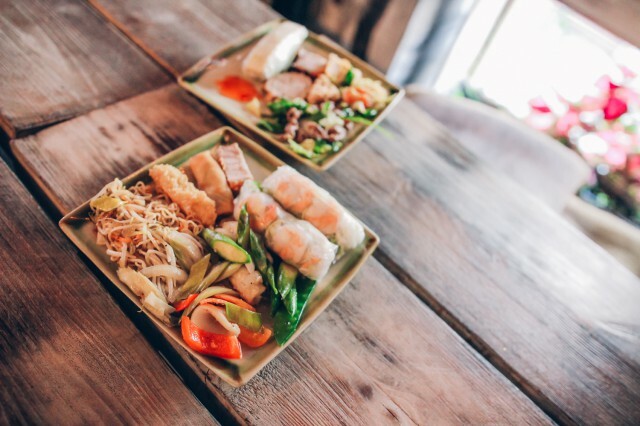 How about some fresh aromatic Vietnamese cuisine? Enjoy Anjoy’s culinary specialities from Southeast Asia while absorbing their homely atmosphere. Friends of tasty breakfast will love their Sunday brunch! Indulge in all sorts of fried rolls, tasty dumplings, hearty soups and diverse rice and noodle dishes. Well then, ngon miệng!! Mixing a very instagramworthy interior with equally highly photogenic dishes and you get the Commonground. 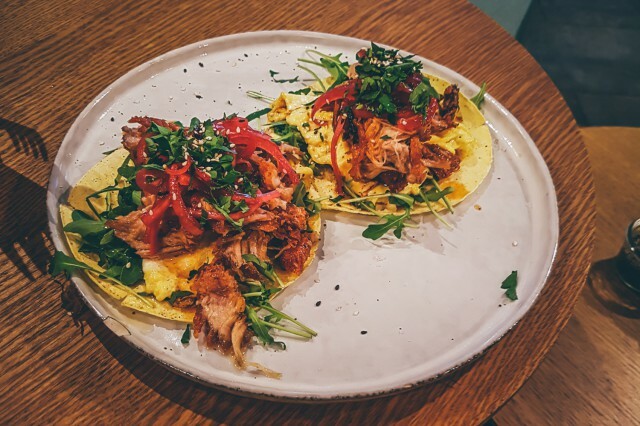 The store run by James Maguire and Morgan Love is an exemplary representative of insanely tasty and partly Mexican inspired food. Instead of your usual avocado toast, get your hands on their delicious, soft breakfast tacos. 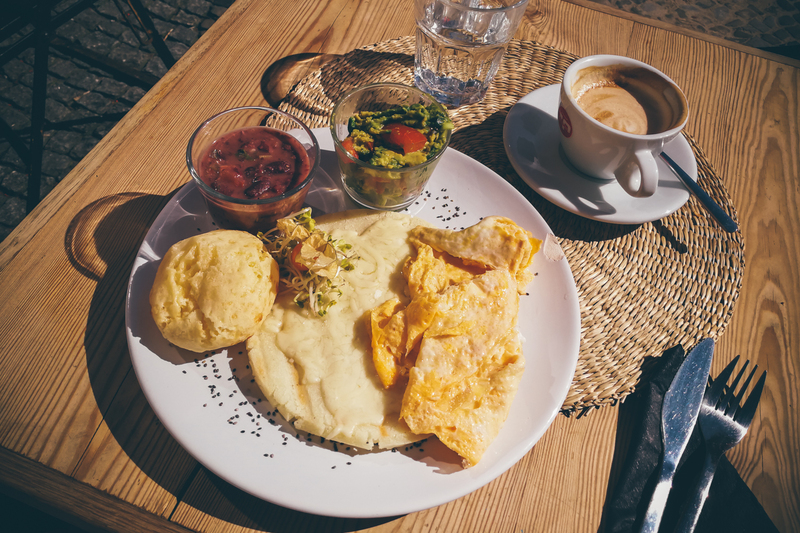 Filled with scrambled eggs, pork and caramelized onions they are, hands down, the best we have yet tasted in Berlin! Le Bon wins your style-loving heart with its solid wooden tables, black walls and factory lamps. 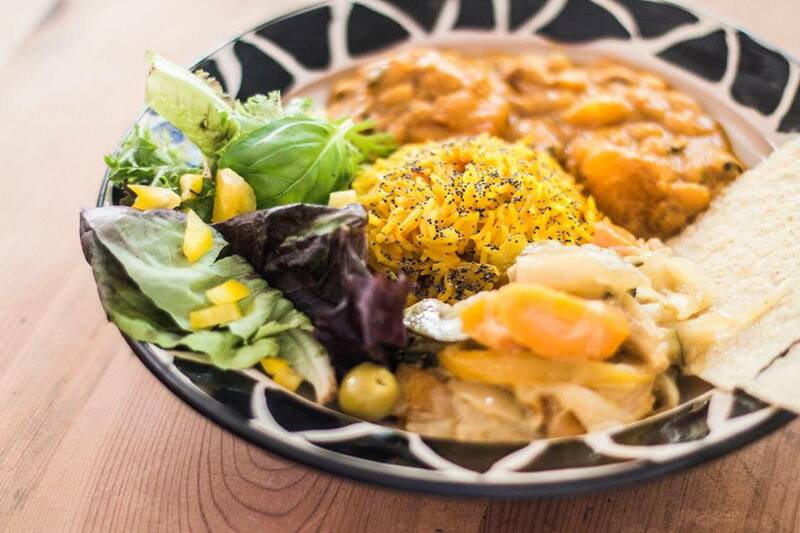 There are several places to enjoy Israeli dishes in Berlin, but Le Bon turns out to be our favorite. If you haven’t tried Shakshuka yet, you need to pay this place a visit. 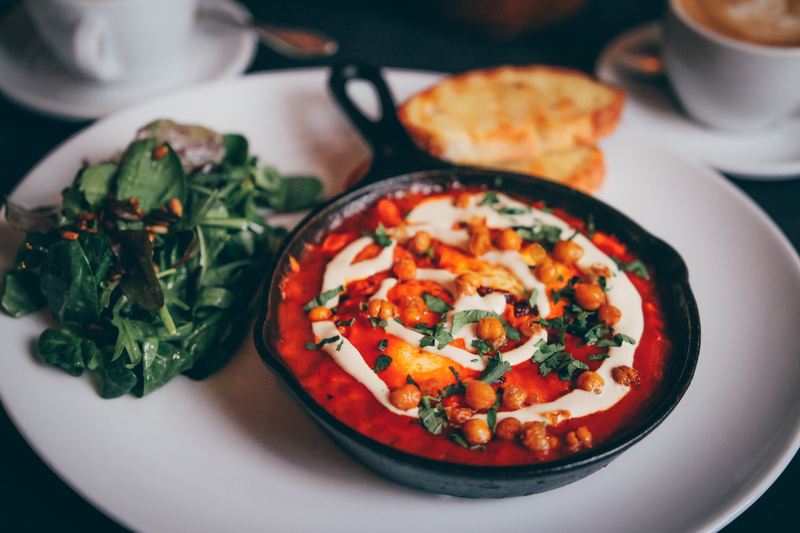 Shakshuka is a beautiful blend of poached eggs, tomatoes, chillis and onions, ensuring a powerful start to your day. Enjoy delicious African-Italian breakfast within the comforts of Ataya’s cozy living room feel. Cozy sofas, solid wooden tables and colorful African blankets invite to stay, to get that book out that you haven’t touched during the week and kick back to a tasty sweet or salty african breakfast. Vegans and breakfast fans will especially cherish the tasty Afro-Italian brunch at the end of each month!